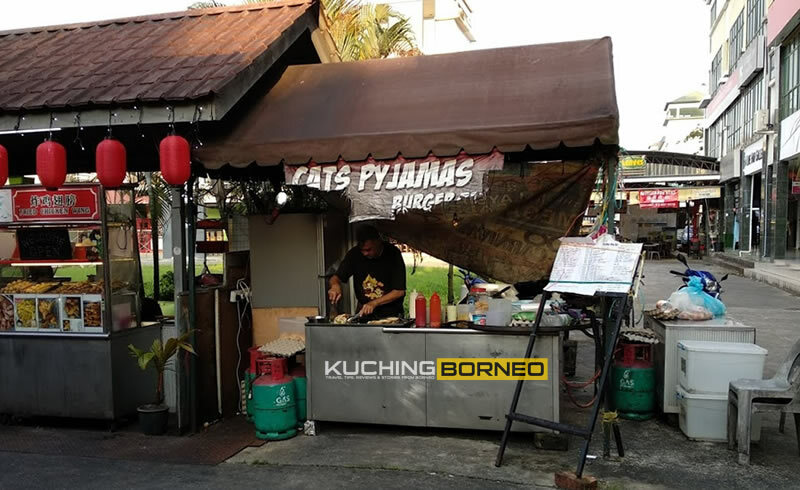 When it comes to burgers, Cats Pyjamas Burger Bar is one of the popular ones in Kuching City. It doesn’t server pork burgers which is a bummer, but it is delicious nonetheless. Not sure if it’s certified halal also, but my Muslim friends order the burger tanpa rasa was-was. Owned and operated by an uncle who identified himself as Liam (I may have got his name wrong), the menu at Cats Pyjamas Burger Bar is huge, that every order seems like it’s custom made. There’s no less than 15 different type of burgers listed on the menu! The patties for Cats Pyjamas Burger Bar are home made, and each burger serving comes with a generous sized patty which is cooked to perfection. One of the burgers at Cats Pyjamas Burger Bar. Look at the size of the patty! Presentation of the burgers here are simple, yet a bite into each and everyone would prove to be delicious and greasy, so it’s not for those of you wanting to watch out for your health. Cats Pyjamas Burger Bar is located at a food court in Kuching, known as Expert Food court in BDC area. 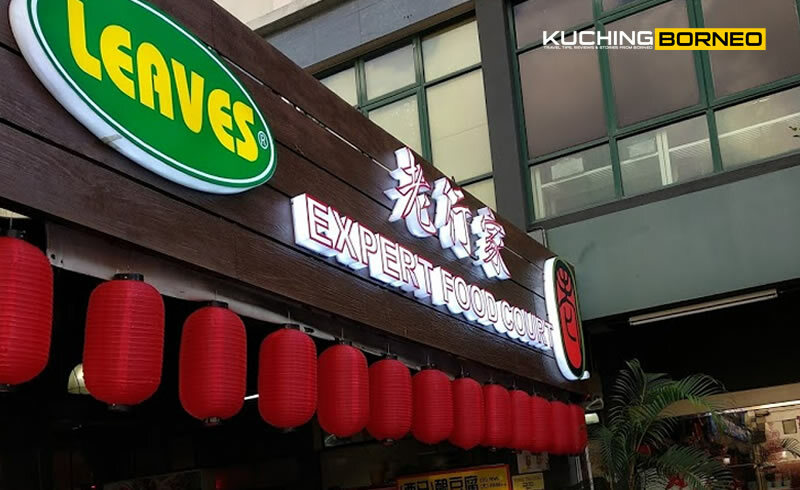 While many Kuching folks know where is Expert Food Court BDC, some may be wondering where it’s located. That said, this map and the image of Expert Food Court massive signage below would hopefully help you get to Expert Foodcourt in BDC, and later on Cats Pyjamas. The food court is not visible from the main BDC-Kenyalang Exchange route, but if you can spot Mita Cake House, or RH Plaza, it’s just opposite both buildings. I am not sure about the time the stall opens or closes, and not do I know when it’s off, but according to their not updated Cats Pyjamas Facebook Page, they open daily from 6PM to midnight. 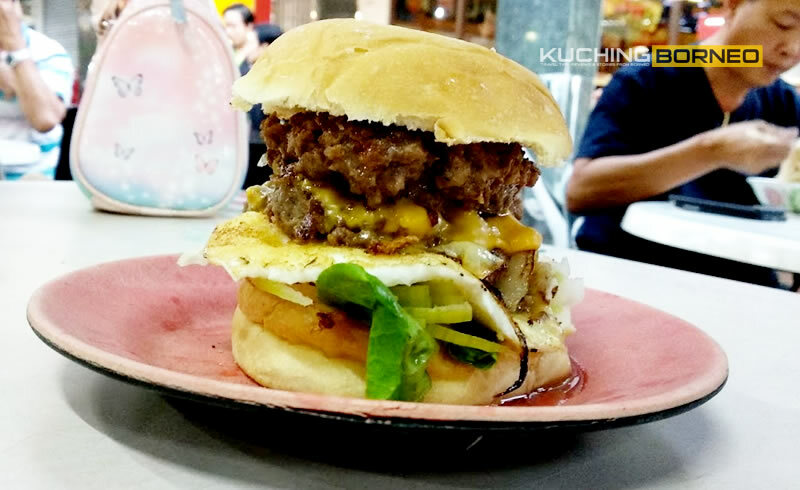 Looking for pork burgers in Kuching? Well, then probably Cats Pyjamas Burger Bar isn’t for you as they don’t serve pork. 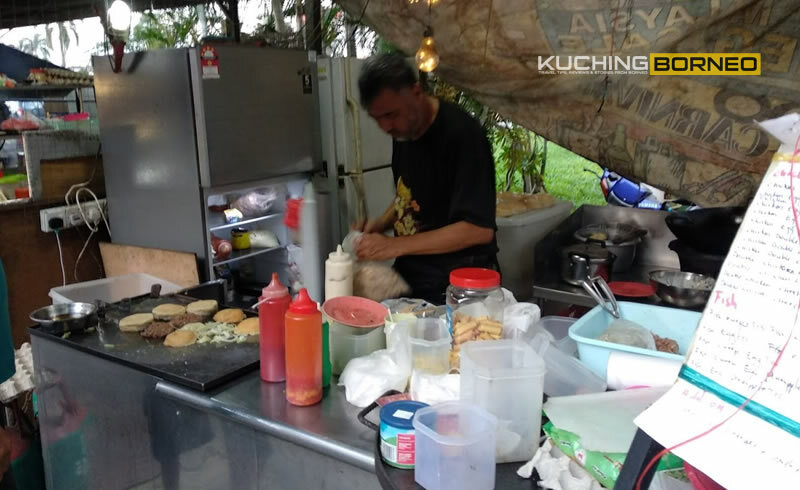 Instead, do check out my listing of Pork Burger Stall in Kuching which I update every now and then. Till the next post, happy food hunting! 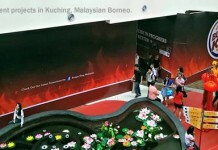 Burger King set to open in Kuching this month!